A couple years ago I visited South Dakota with my family, and I have found memories of visiting my Badlands National Park. Recently, we were talking about the possibility of going to South Dakota again, possibly meeting more family who live in another part of the country. I thought that, just for the fun of out, I'd brew a beer that would be appropriate to bring to the Bad Lands. 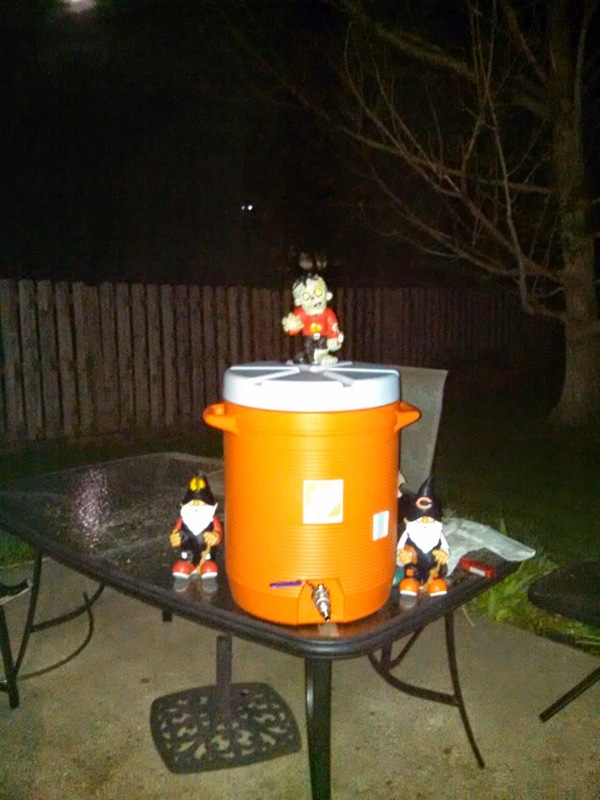 The Gnomes and I got started around 4am. Unlike the past couple of brew days, I didn't go back to bed while the mash was converting. Instead, I pushed ahead, trying to get through the boil before it was time to go to church. 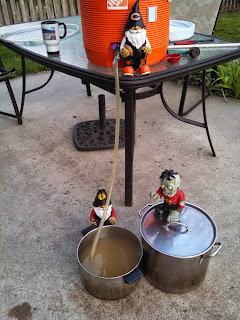 My pre-boil gravity was high, so I diluted quite a bit over the boil. I also cut about 10 minutes of the boil. Even so, I still ended up diluting a little in the fermentor. 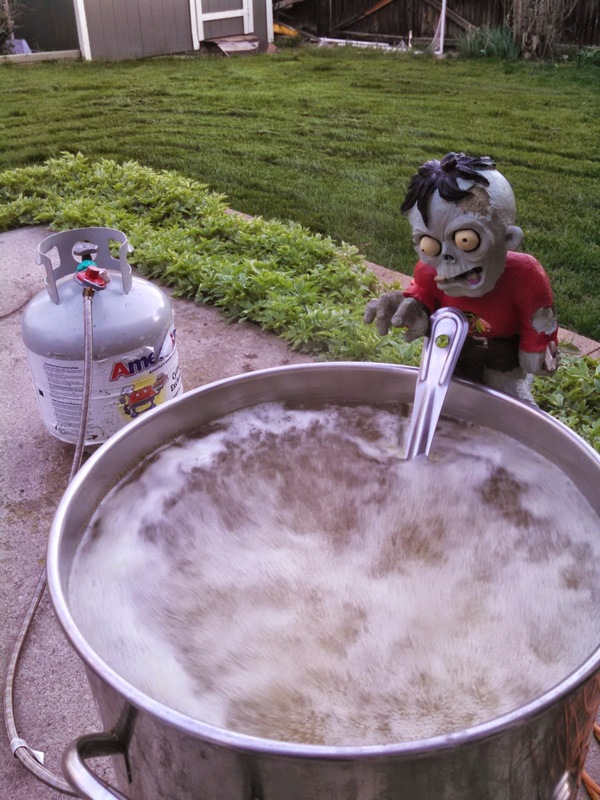 I did get through the boil and mostly chilled before church. I let the wort sit covered in the pot while attending worship. 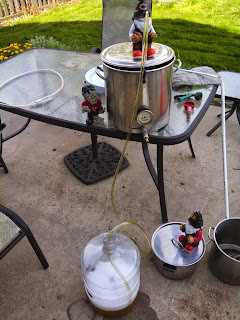 After church, I transferred into my carboy, which I let sit in my gott cooler filled with ice water. By the time I pitched my yeast, the temperature was around 58 degrees. The beer is fermenting now, the carboy still in the cooler with water around it to keep it cold (around 60). Looking at the pictures, you might have noticed a new, somewhat strange looking brewing gnome. Actually, if you follow SheppyBrew on Facebook, you've seen him before, but this is his first time helping us brew. 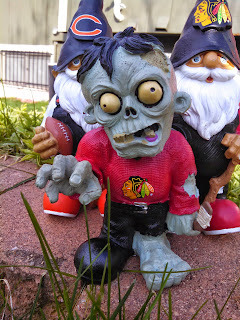 The new guy's name is Gzombie Gnome. Expect to see more of him. He and I will be designing a beer together soon, I'm sure. In the meantime, I'll try to let you know how Bad Lands Kölsch turns out.